We are a large-capacity railcar service that is integrated with the CSX East-West mainline corridor. 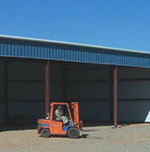 As a valued CSX warehouse and service partner we feature center-beam handling, covered dry storage and more than 10 acres of secure, outdoor storage and trailer parking. We offer a variety of rail logistics, operations and service levels. 2014 marks our 15th year of continuous operation in the same location. Let us know how we can serve your Transload and Reload needs. 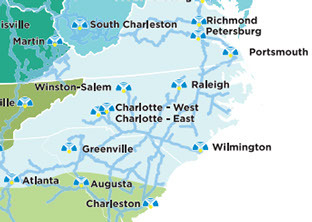 We are centrally located within the CSX system.